 Providing you with valuable resources so that you can make informed decisions to better your business operations is a key component of what FPSA strives to provide to our membership. One of the Association's key strategic goals is “… to create programs and services to strengthen the membership value proposition.” To fulfill that mandate and promise, I want to make you aware of several types of assistance that we offer. • You have an office in the EU. I urge you participate in the free webinar being provided by Barbara Dunn, our legal counsel with Barnes and Thornburg. Click here to register. 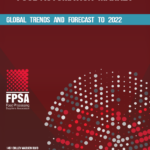 Second, I hope you to take advantage of the recently released free five-year global forecast trend study on “Food Packaging Technology and Equipment” that is now available by contacting Ann Marie Penaranda at apenaranda@fpsa.org. And, our next study on “Food Automation Market” will be available on July 16th. 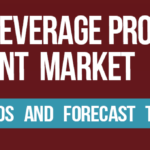 These, as well as all our trend studies are a tremendous resource in that they will help you gauge market size and growth projections, and serve as a guidepost for your company as they highlight market opportunities based on both technology and geography. 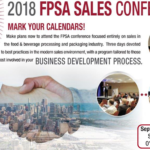 Third, I encourage you to register early for the Fall Sales Conference and join 150 of your colleagues for two days of education and networking focused on the modern sales environment. The conference is being held from September 17-19, conveniently located at the Sheraton Chicago O'Hare airport hotel. Click here to read more about our exciting slate of speakers. Lastly, I want to apprise you of a very exciting action taken recently by your Board of Directors to augment efforts to support our member's needs and further the goals and objectives of the Association. On June 26th the Board voted unanimously to create a new Pet Foods Council and a new “network structure” which will allow for expanded and enhanced participation and engagement of the membership. You will soon be receiving more information about how you can become involved and active in these new areas. As always, I hope you partake in the knowledge, information, and intelligence which your Association provides. And, please reach out to me at dseckman@fpsa.org or at 703-663-1200 with your ideas and input on how we can better help to serve you.